In Jazz Forum magazine Aga Zaryan's "Looking Walking Being" was voted as best album in 2010. And it certainly deserves your attention especially if you happen to like jazz singers because with this album she simply outclassed any other jazz singer in Poland. Moreover her singing is so individual and unique that she may very well count on being also recognized abroad. In fact she already made significant step in this direction by recording this CD for legendary Blue Note label. One of the advantages of having behind you marketing power of such a renown company as Blue Note is that potential listerner has plenty of information in English regarding Aga, situation not that typical with other Polish jazz musicians. Let me therefore put in this post only the most basic information plus links of web pages where you can find more extensive informations. Born in 1976 as Agata Skrzypek she attended music schools in Warsaw and was tutored by legendary Polish jazz singer Ewa Bem. Her first album "My lullaby" was issued in 2002 with next "Picking up pieces" coming in 2006 (double platinum status). In 2007 she recorded "Umiera piękno" (when beauty dies) dedicated to those who perished in tragic Warsaw Uprising in 1944 (among them her relatives). For this effort she got Fryderyk Award in 2008 - the most significant prize in Polish music industry and was also nominated for Women Of The Year 2008 Award by Gazeta Wyborcza, one of the most influential newspapers in Poland. Finally she was voted as best jazz vocalist in 2007, 2008 and 2009 by above mentioned Jazz Forum magazine. More info about her bio you can find here. When I put CD containing the newest Wojciech Staroniewicz album in my Marantz player and music began to flow from Tannoy loud speakers my wife which happened to pass through our living room exclaimed: "At least!" "What?" - I asked. She answered: "At least some music normal people can listen to...". So my beloved free jazz discs were put aside and "Afreakan" reigns in my CD-player since then and to my own delight since although mainstream it is so light-hearted, so exhilarating and so well played that I cannot stop listening to this music which is simply no less than pure joy. Apart from Wojciech Staroniewicz who is mastering his tenor saxophone, you will find here as sidemen great musicians indeed like: Przemek Dyakowski (tenor saxophone), Darek Herbasz (baritone saxophone), Irek Wojtczak (tenor and soprano saxophone), Dominik Bukowski (marimba, vibraphone, kalimba), Janusz Mackiewicz (bass), Adam Czerwiński (drums, udu drum, african cowbell), Larry Okey Ugwu (african percussion - bass jembe, osha, chekere, agogo, ekwe) and Sławomir Berny (percussion - darabuka, bongos, marakas, shaker, cabasa, cowbell). From listing of instruments you can very well say that this time Staroniewicz venture on African safari succesfully blending typical Polish jazz virtuosity and musicality with etno climates. These excursions of Polish musicians toward so-called world music are recently more and more often with excellent example of this tendency being "El Buscador" by Adam Pierończyk. In both instances these trips are very attractive although Pierończyk moved in avantgarde direction while Staroniewicz has rather smooth jazz azimuth. However both are so well done that I cannot do anything else but recommend them together to any jazz loving heart. Although I have no music from this album please listen to fragment of concert with material from his previous album titled "Alternations" evidencing how high level these musicians represent. Update: a song from new album now available. Check this link - fantastic indeed!!! Zbigniew Namysłowski is one of the pillars on which Polish jazz edifice was erected. He counts among those great and legendary as Krzysztof Komeda, Andrzej Trzaskowski, Tomasz Stańko, Mieczysław Kosz, Tomasz Szukalski, Jan Ptaszyn-Wróblewski, Adam Makowicz and others without whom there could be no jazz on this side of iron curtain. 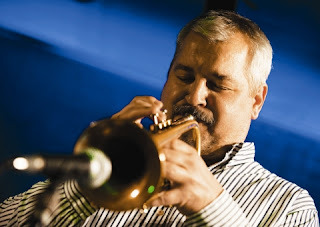 Since he is present in Polish jazz from it's very beginning in 50ties last century and was present in the recording of many of the most known recordings his sound is as deeply rooted in our hearts as Stańko melancholic trumpet or Kosz light-as-a-feaver piano improvisations. One can described his sound as emotional yet restrained in this best Polish music tradition of dialogue between heart and mind with prevalence of heart. 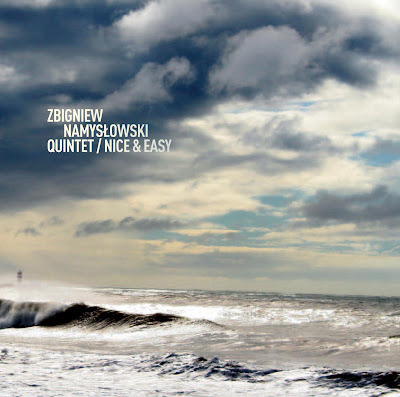 "Nice & Easy" his latest album does not in the least disappoints Namysłowski's fans and although placed in territory between mainstream and smooth jazz it is as classy as any of his previous recordings. Like other great saxophonists of our time who are recording in full maturity (b. 1939), like Sonny Rollins or Wayne Shorter, he shows vitality, creativity and enthusiasm proving that his love towards jazz is as strong as ever. Excellent musicians are following his leader example showing extraordinary level of musicianship on this album: Jacek Namysłowski (trombone), Sławek Jaskułke (piano), Andrzej Święs (double bass) and Grzegorz Grzyb (drums). To sum up: it's joyful, it's cheerful, it's energetic, it's obligatory for any smooth or mainstream jazz lover. Check following link for sample of his music. Smashing news from Polish virtuoso trumpet player Robert Majewski! Maciej Trifonidis Bielawski could be known to some of you as the bass player in Horny Trees trio - clarinet-bass-drums band led by Pawel Szamburski which released its first cd on Kilogram Records - Mikolaj Trzaska's label. But he's also a multi-instrumentalist, producer, composer, working in and leading his own projects in very different musical environments, from raw freejazz improvisation (would love to hear his upcoming trio concert with Pawel Szpura and Ksawery Wojcinski - rhythm section from Hera) up to large groups with strings, accordions, brass, horns, playing mostly composed, strictly arranged music, balancing classical and popular influences (the biggest of those - Trifonidis Orchestra - is 16 men strong). His recent releases on his own Slowdownrecords label prove his vast talents and multiple skills. And while I'm not that big fan of such orchestral ventures, the sonic richness they can offer and many of simply charming melodies he delivers are definitely not to be missed because of such a prejudice. 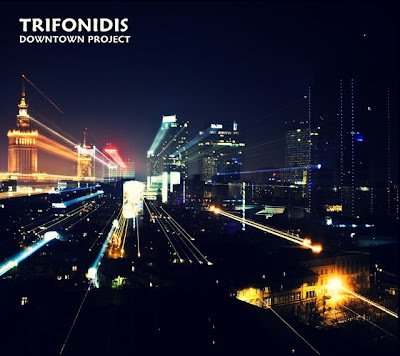 First recording I want to write about (next reviews will come accordingly) titled "Downtown Project" is clearly outside the jazz genre and can be described as musical soundtrack dedicated to Warsaw. A city that, like any other urban centre nowadays, is torn apart between the fast tempo of modern life, and history, those oases where time seems not to rush anymore but walk slowly, telling stories of the past. With string quartet, accordion, tuba or ethnic percussion in the line-up this offers a wide range of colours to choose from and Bielawski does create a varied set of pieces, to tell you about whole lot of different things - a bad hangover in the "Morning" or a "Football Match" watched with his friends. The stories sometimes quite dramatic, sometimes quite joyful, trivial or pensive - not surprising if you squeeze "Dreams" between "Rush Hour" and "China Soup". Most of those are portraits or miniatures - with only 4 out of 18 tracks over 3 minutes, and majority around 1:30. Stunning melange indeed with sounds of the city mixed in, echoes of some folk melodies, different cultures' backgrounds present, as well as Michael Nyman or Philip Glass influences (especially in the chord patterns of the "Space Beyond the City"). Bielawski does to Warsaw what Yann Tiersenn did to Paris in "Amelie". And though I guess Warsaw is not as seductive nor romantic as Paris (not a big surprise), but at least in the way how depicted by Trifonidis, it gains intriguing, if sometimes a bit disturbing, charm. Speaking shortly, this music is classic example of a soundtrack music to the film that has not been made, but still stands well on its own. If there are silent movies, maybe there could be also one that has no moving pictures but just the moving sounds? 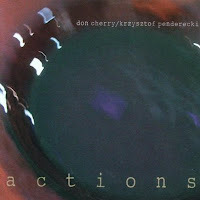 Find him on his blog http://jazzalchemist.blogspot.com/ or on air http://radiofrycz.pl/ at 20.00 on Monday. This is a note for absolute beginners in Polish jazz: welcome :-))) Perhaps you feel a little awkward when entering a world where there is so many difficult signs in musicians' names: ę, ą, ś, ć, ż, ź and others. But fortunately the grammar and spelling of jazz music is all the same around the world so if you pass by these opening obstacles, you will find further there beauties beyond description. And this is not only my opinion by opinion of many non-Polish experts worldwide. and I would start with Seifert recording being inyour place. It is dedicated to McCoy Tyner and is as energetic as it is refined. Seifert is showing his genius here in full blossom, his violin unsurpassed by any other jazz violinist previously or after. 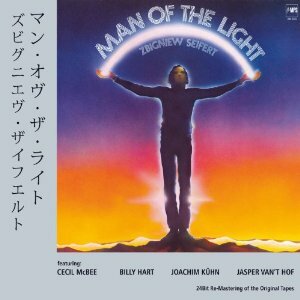 Accompanied by fantastic set of musicians in persons of Cecil McBee (bass), Billy Hart (drums), Joachim Kuhn and Jasper vant't Hof (on pianos). Immortal music, not in slightest degree outdated, its CD reissue has been chosen by John Kelman from allaboutjazz as one of the best recordings in 2010 regardless it has pass almost 35 years since it was recorded!!! Imagine a foggy night at the sea, and the sound of ships sirens emerging from the silence and the darkness, five of them, calling each other out, responding to voices coming from all directions. Finding a friendly waters, where they can exchange some personal stories, with the listening choir commenting on those all the time. They reach an agreement and start singing together (absolutely stunning and oh so peaceful harmonies in the middle of the track) and then move back and forward between the solo narration, duos and the entire choir parts, with everyone finding a role to play and never looking for a front spot. That is how this albums starts on "Ant-hill Builder". It's amazing how majestic is the sound of the clarinet when multiplied, coming from all angles, all directions, warming up the air of this foggy night, clearing up the sky so You could see the moon shine. "City Shepherds" begins with clapping of the clarinets' keys that sound like a rain in a tropical forest. "Sleeping Deep in the Moss" brings You the sound of the ocean waves and introduces gently another so deeply harmonic duo, joined later by bass clarinet underlying it from miles away with a simple motiv, coming to a short tutti outburst of a heated debate, which suddenly stops as if it never happened. All pieces are rich in texture and with so many layers appearing in the music, the Quintet manages to achieve a rare thing - contain a complex inner structure in a form that seems simply. I don't mention the names on purpose (though, thanks to the fantastic stereo realisation of this recording, You could identify individual parts). This is some of the most democratic playing I've heard in a while, a true conference of birds - where one has an ability to both talk and listen at the same time, finding a perfect balance in the overall sound. This is a breathtaking and a completely fresh and original experience (how many clarinet quintets have You heard so far?). And be warned this is definitely not jazz, much more a chamber music (sometimes reminding me a bit of Philip Glass's work), with a lot of structure, with a lot of repetitive motives appearing, whole lot of caring for the overall form of all the pieces, slowly pacing through both ensemble and solo parts, some abstract moments as those of stunning harmonic touch. The description on the digipack says : "all composition by Quintet" which make me doubt my assumptions about material being improvised, but does it really matter? All musicians are worthy of praises, masters of the clarinet, but this album is more than anything a perfect example of a whole that is bigger than a sum of its parts. A whole that is unique and absolutely captivating, don't miss it. 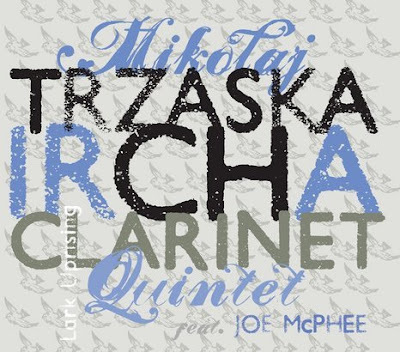 ps.1 While Joe McPhee, Waclaw Zimpel and Mikolaj Trzaska should all be known to jazz maniacs all over the world (I hope so), Pawel Szamburski and Mikolaj Gorczynski have not reached this level of recognition, their playing (among various bands they play in) can be heard in Cukunft - polish group revitalizing klezmer music, You can find mine post about their concert in Krakow here. ps2. The music was recorded during Tzadik Festival in Poznan at July 17 2009, and, with clarinet being so crucial to the jewish musical culture, one could be tempted to look for klezmer influences but, in my ears, there are none really. Although I am focused on this blog on what is going on in polish jazz at this moment, it is very important for me to be able to go back from time to time. 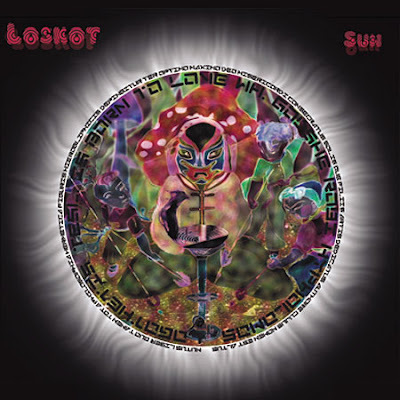 Like today when I decided to recall excellent recording by Łoskot (din) titled "Sun". If you like such fantastic bands of today as Pink Freud, Contemporary Noise Sextet or Dziki Jazz (title of album), you should definitely check this record as well because all above mentioned bands are deeply indebted in music as created by Łoskot. Mikołaj Trzaska on bass clarinet and alto sax, Piotr Pawlak on guitar, Olo Walicki on double bass and Tomek Gwinciński on drums were all involved in yass revolution in Poland, here they created a very special blend of jazz, psychodelic rock, music build on trance-like grooves, catapulting us effectively in alternate dimensions of out-of-mainstream reality. Since then this surprising melange of self-ironic avant-garde with pop-like accessibility has became new Polish bands specialite-de-la-maison and allowed them to persuade more and more listeners to music so much better than Lady Gaga, Madonna or Seal. Wojtek Mazolewski is hot stuff lately with his last year record "Monster of Jazz" by Pink Freud winning Best Jazz Band in yearly poll by prestigious Jazz Forum magazine. In new 2010 year he is not going to slow down however and intends to publish new album titled "Smells Like Tape Spirit" with another of his bands called Wojtek Mazolewski Quintet. Many not only feminine jazz listeners are waiting impatiently for this new record as well as concerts. I got this album over a month ago with an idea of reviewing it as soon as possible. This however turned out to be impossible because music from this CD encompassed me like Black Hole and only with utmost effort I was able to detach myself from its enchanting influence. Before I write few words about music, let me introduce musicians first. Keir Neuringer is American saxophonist born and living in New York who feels himself as much jazz musician and avantgarde performer as political activist with clear leftist political ideas. He is against his own goverment en gross, a privilage that can enjoy citizens of only the most democratic and wealthy nations in the world. In musical terms he focuses on avantgarde and improvised music and had opportunity to play together with Evan Parker and Misha Mengelberg. Rafał Mazur is double bass player, resident of Cracow where he studied in Music Academy. This is actually the place where they met each other with Keir who was there as a Fulbright Scholar. Since then Mazur engaged himself in all kinds of activities and projects provided they were free, spontaneous, spiritual and full of improvisation whether it's music or Chinese martial art studies. It is fascinating that this glorious record would be impossible without relationship established between those two musicians more than 10 years ago and cultivated dilligently regardless different problems and obstacles. So this disc comes as a prize not only of their exemplary creativity but also for patience and perseverance: features not so often present in artists' souls. In the end we got music that is holistic, gravitational, massive and which engages not only our aural apparatus but also our mind, soul, body. We feel like certain inner chords in our hearts begin to sing which reminds us old Plotinus idea that there is light in everyman's soul reflecting perfect glamor of divine idea resting in heaven. Mastery level of design and artwork as projected by Piotr Jakubowicz from RedBoxDesign and great support by the best Polish jazz recording label NotTwo Records: all these elements make this album special enough to be obligatory in collection of every free jazz lover throughout the world. 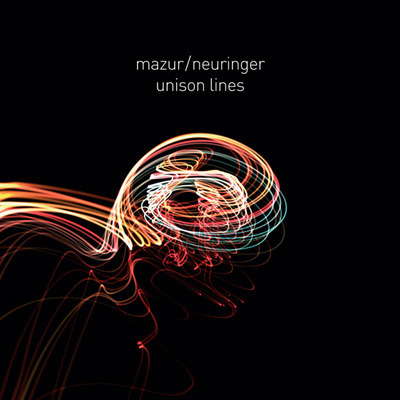 Neuringer, Mazur, d'incise @ Kawiarnia Naukowa (1 of 2) from Keir Neuringer on Vimeo. Krzysztof "Komeda" Trzciński is a legend in both Polish jazz as well as in film industry (collaboration with Roman Polański). His influence on Polish jazz can only be compared with that of Miles Davis on American. It may be a little surprising then that neither Polish jazzmen nor filmmakers are behind initiative to raise monument for him but Polish doctors. However as some of you may remember, Komeda studied medicine and made diploma in laryngology before moving to jazz and it seems that his fellow doctor colleagues' affection is more solid than his jazz or film compatriots. I shall certailny visit the place once in Poznań (in front of Medical University) and offer a bunch of flowers to commemorate merits for jazz of man so full of talents as he was. Kiedy miałem jakieś 10 lat, ojciec zabrał mnie do kina na film fantastycznonaukowy zatytułowany „Spotkanie na Kasjopei”. Oto fabuła: grupa radzieckich pionierów leci w kosmos , aby udzielić internacjonalistycznej pomocy kasjopejczykom. Kiedy docierają na miejsce, zamiast nich spotykają jednak tylko roboty przypominające nieco hippisów w spodniach z rozszerzanymi nogawkami i metalowym afro na głowach, które - jak się okazało - przejęły w międzyczasie władzę nad globem. Jak udało im się tego dokonać? Otóż wybudowały na planecie coś w rodzaju pułapek mamiących tubylców muzyką. Kto raz jej posłuchał, nie był w stanie jej się oprzeć i ginął przepojony złudnym poczuciem szczęścia. „Co to za muzyka?” – zadałem szeptem pytanie ojcu. „To jazz” - odpowiedział. Skąd te wszystkie skojarzenia? 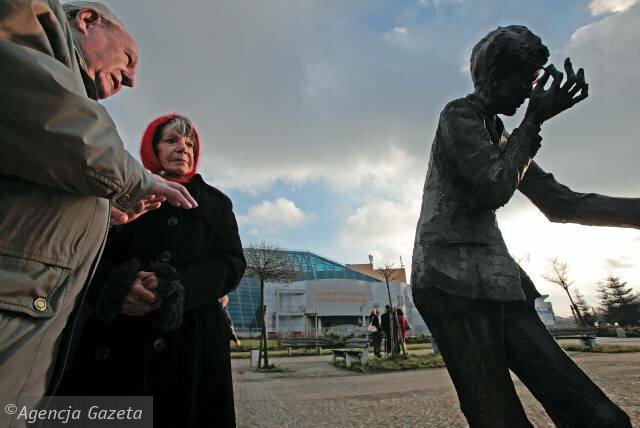 Z powodu płyty amerykańskiego saksofonisty Keira Neuringera i polskiego basisty Rafała Mazura, zatytułowanej „Unison Lines”. Mam ją od początku grudnia zeszłego roku, ale zamiast przesłuchać i od razu napisać recenzję, wpadłem w Czarną Dziurę. Podzieliłem los mieszkańców Kasjopei, muzyka przejęła nade mną władzę, weszła ze mną w relację na tyle głęboką, że nie chciałem się nią z nikim dzielić. Kiedy największym wysiłkiem woli oderwałem się w końcu od niej (być może mam jednak w sobie coś z radzieckiego pioniera! ), postanowiłem jakoś odnotować fakt istnienia tak niezwykłej płyty. Kiedyś zadano Billowi Evansowi pytanie: co to jest jazz? Na co ten odparł, że szukając odpowiedzi nie trzeba pytać, „czym jest jazz” tylko „jak się go tworzy”. Z punktu widzenia „jak” muzyka grana przez Neuringera i Mazura to bez wątpienia jazz: świeża, kreatywna, stanowiąca wyzwanie dla słuchacza, a przede wszystkim ich własna. To free jazz ostry jak skalpel, równie jak on bezkompromisowy i wymagający, którym twórcy tej płyty, niczym para chirurgów-czarnoskiężników ze słynnej książki Jurgena Thorwalda, błądzą po ludzkim ciele w poszukiwaniu duszy. I odsłaniają w nas to, co najpiękniejsze: wewnętrzne światło, dzięki któremu każdy człowiek może nawiązać bezpośrednią więź z niematerialnym, duchowym, transcendentnym. Muzyka ta wpisuje się doskonale w tradycję wielkich mistycznych polskich płyt, takich jak kiedyś „Matka Joanna Od Aniołów” Tomasza Stańki, „Salve Regina” Piotra Barona czy niedawno „The Passion” Undivided czy „Hera” Wacława Zimpela. Z poziomem muzycznym koresponduje rewelacyjny design artystyczny wydawnictwa autorstwa Piotra Jakubowicza z RedBoxDesign i mecenat Marka Winiarskiego z dumy polskiego jazzu jaką stało się wydawnictwo Not Two. Krótko mówiąc, obowiązkowa płyta w katalogu każdego wielbiciela free jazzu. In Poland many people treat Chopin as national treasure and as exclusive asset which we, Poles, are the only rightful owners. I am not entirely convinced to this point of view. In fact Chopin was of mixed Polish-French origin and he lived as typical international Boheme vagabond travelling throughout Europe. That he drew inspiration from Polish dances, culture, history and identified himself with struggle for our independence cannot make us blind that his music would not be possible without influence of French culture, Italian opera and German romanticism. Why am I saying all that? As you probably know 2010 was international year of Chopin and in Poland there was a real flood of albums dedicated to this composer, especially all kinds of "jazzy" versions of his pieces. Having been listening to classical music since I was a kid I must say most of these recordings were not very interesting to me, in fact they made me angry because they proposed somehow simplified and standardized version of Chopin music, neither appealing to me from classical music point of view nor having this jazz music feature of being fresh and novel. 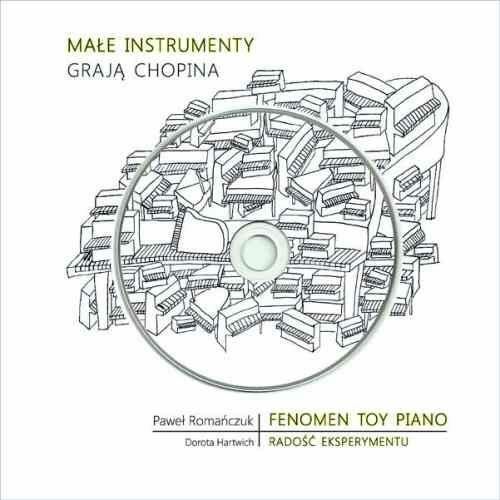 Fortunately there are exceptions to that and among so many recordings, album "Grają Chopina" (playing Chopin) by Małe Instrumenty (small instruments) band is among most interesting. An idea is crazy indeed: to play Chopin on different types of children's toy piano. But the effect is staggering! Chopin sounds like a total surprise, even when so well known pieces are played. Phenomenal performance by Paweł Romańczuk, leader of the group, and his companions Paweł Czepułkowski and Maciej Bączyk. 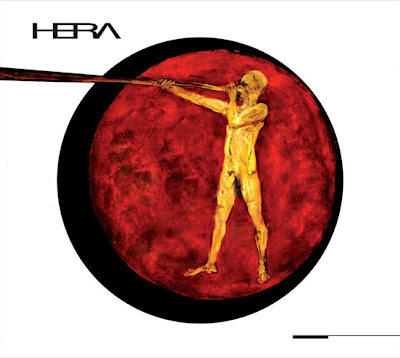 Disc not to be missed by any lover of avantgarde and improvised music! Contemporary Noise Sextet will be back in 2011! Good news from Contemporary Noise Sextet as well: they have recorded most of the material for their new album! They plan to publish it in March in their own ElectricEye label but also in German Denovali and Japanese Zankyo labels. We are looking forward to both: new CD (or perhaps vinyl as well?) and to concerts that shall follow accordingly. 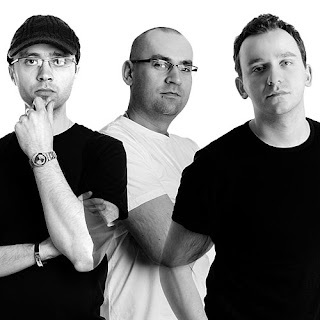 RGG trio is one of the most interesting cool jazz bands in Poland. 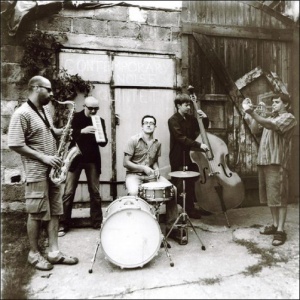 Each of their recordings is worthwhile with this one as a good example of how high level they represent: http://kochamjazz.blogspot.com/2009/12/rgg-true-story-2009.html. "There are things in universe which no philosopher ever dreamt about" - this ancient proverb perfectly suits for description of this record. Just imagine! On one single record you have Don Cherry, Kenny Wheeler, Tomasz Stańko, Peter Brotzmann, Terje Rypdal, Albert Mangelsdorff, Manfred Schoof, Han Bennink! Plus Polish composer Krzysztof Penderecki, a walking legend of classical music avantgarde!! Impossible? But such a recording indeed exists!!! Produced by Joachim Berendt (yes!) this album contains music from concert given in June 1971 at Donaueschingen Music Festival. There are three pieces on this disc, all played by New Eternal Rhythm Orchestra, two composed by Don Cherry and one by Penderecki. Cherry's pieces are primal, emotional, instinct-driven with strong elements of Orient influences. Ecstatic and trance rhythms directed by Cherry leave us in awe of his unbounded creativity and bravery. However when Penderecki piece starts we immediately are aware that tension will rise even higher. His music shatters, deconstructs and explodes in the space like supernova. What else can I say? Fantastic meeting of two talents of apocalyptical proportions. Worth every penny and every second you spend on it! First time on this blog I write not about CD or book but newspaper article. 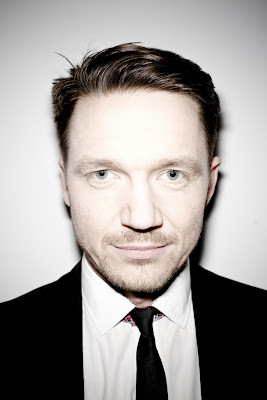 Such a exception however is justifiable when applied to musician of such calibre as Tomasz Stańko. As you probably know Tomasz has moved to New York recently and there were rumours that he is going to play with New York avantgarde young stars (Potter, Taborn, Morgan, Black). That this may mean that he shall change his style from ECM quiet one to more adventurous and loud which was typical for him in the past was quite logical. And I am very excited about this change in Stańko style because I feel the time is up! Łukasz Stworzewicz is Polish drummer who graduated from famous jazz faculty at Katowice Music Academy. In 2005 he started to play in trio with pianist Dorota Zaziąbło and bassist Artur Kudłacik. 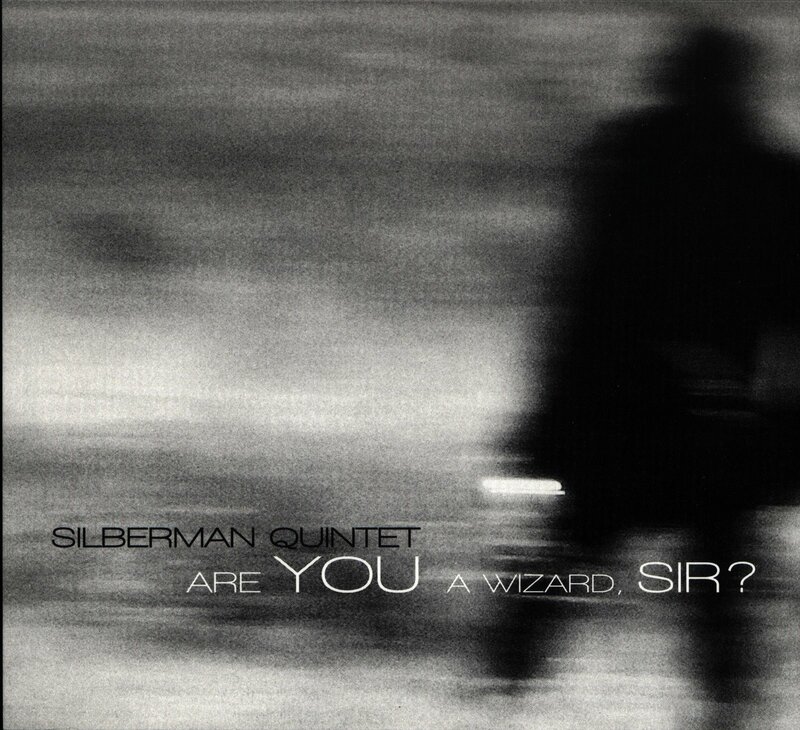 In 2008 they recorded album titled "Silberman" which unfortunately I haven't had opportunity to listen to. 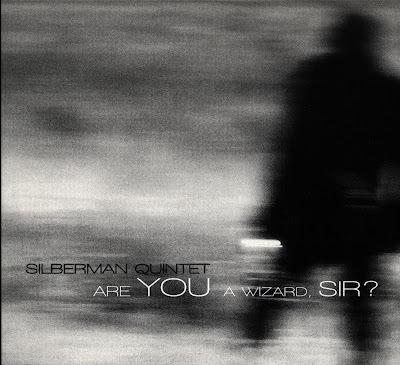 On his second album titled "Are You a Wizard, Sir?" Łukasz made another step forward by expanding the size of his band to five and persuading excellent musicians to accompany him: pianist Piotr Wyleżał, violinist Adam Bałdach plus Wojciech Gasior on double bass and Grzegorz Bąk on bass guitar who complete rthytm section. Łukasz Stworzewicz also composed all music on album and produced it, he truly deserves the highest praise for such great effort. But music is of course most important so let me now write few words about it. Though still young (about 30 years old) Stworzewicz has clear ideas about what music he wants to play. His jazz is heavy influenced by symphonic rock, he clearly is sympathetic toward classic music with its harmony and articulation but from time to time he flirts with more open structures, broken rhythms, a little Monkish in mood. And these are in my opinion the best moments of this record like in opening tune "Rotostal" or (less) in title track "Are You a Wizard, Sir?". Gentle and very musical playing by Piotr Wyleżoł coupled with ascetic yet flawless play by Adam Bałdych underlined by strong groove supplied by apt rhythm section make for very interesting picture especially in first of these tunes. However when later in album symphonic rock and classical instrumentation prevail, I am little less inspired because first I never liked symphonic rock and second I know classical music so well I somehow do not look for it in jazz. Still I cannot deny that music is full of imagination, evokes vivid emotions and I like that it is coherent, have clear artitistic identity as given by Stworzewicz and his companions. Being not entirely my pair of shoes I must admit this album is pointing in good direction and I hope that we will hear even more interesting music from Łukasz Stworzewicz in future. My path in jazz leads between all too obvious mainstream and all too extravagant free, improvised, avant garde (delete unnecessary) music. As far as mainstream is concerned it happens quite often that music is perfectly played but because everything is so well known it does not move me too deeply (there are exceptions to that of course). 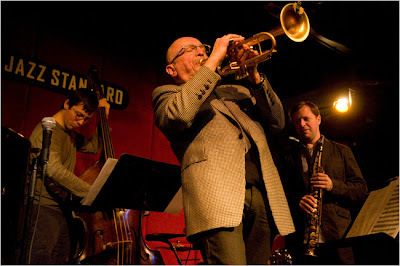 On the other hand free jazz often avoids any structure to the point of being merely chaotic and quickly tires my mind. What appeals to me most is synthesis of mainstream communicativeness and avant garde freshness. Such a synthesis though is very rare and this record is one of the best if not the best example of such combination in Poland last year. 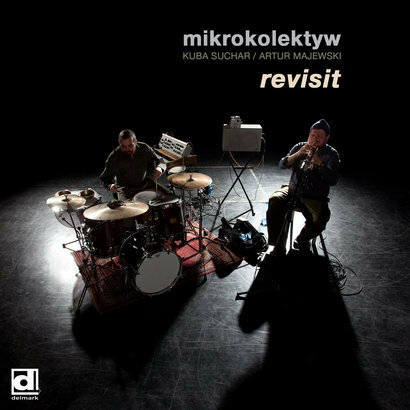 Kuba Suchar is drummer while Artur Majewski trumpeter but they both very creatively use different electronical instruments to enliven their music. In fact they use so original instrumentation and play together for so long time that they both sound like some new instrument, very unique and unheard of, with the name for group so well matching for such perfect cooperation. 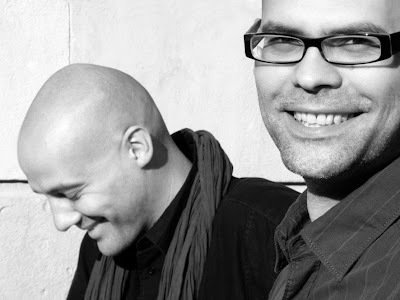 They were both playing for 10 years from 1998 to 2008 in group called Robotobibok (can be translated as "Lazy Robot") which had important role on Polish music scene experimenting not only with jazz but also with all kinds of electronic music, rhythm driven, avantagarde. In 2004 they created duo Mikrokolektyw but only after 6 years of playing together they decided to record first CD. In the meantime they got opportunity to gig with excellent American jazzman Rob Mazurek which helped them to secure printing this material by well known Delmark label. Let us hope that it shall allow wider audience and not only Polish to get to know with this fantastic musicians and their music. They certainly deserve it and in my opinion this is simply one of the best recordings in Polish jazz in 2010! Jeśli spojrzeć na jakąś ciecz pod mikroskopem, okaże się, że cząsteczki wody przemieszczają się w niej z ogromną prędkością we wszystkich kierunkach. Gwałtowność tych ruchów wyznacza temperatura danej cieczy, im ona wyższa tym szybszy ruch cząstek. Tę aktywność nazywa się „ruchami Browna” i mam wrażenie, że Ken Vandermark, amerykański saksofonista free jazzowy, jest właśnie takim czynnikiem podnoszącym poziom entropii w jazzowym światku. Po zetknięciu z niemal każdą jego płytą, wyobraźnia słuchaczy nabiera dodatkowej energii niczym cząstki elementarne w podgenewskim zderzaczu hadronów, i wraz z nim odkrywa nowe muzyczne światy i tajemnice. Tak przynajmniej było w moim przypadku, bo chociaż Vandermark kojarzy się głównie z muskularnym, asertywnym i nieokiełznanym improwizowaniem na saksofonie (najczęściej tenorowym), to tym razem zabiera on nas w podróż w zupełnie innym kierunku. Cofamy się do roku 1962 i płyty „Free Fall” innego trio w składzie Jimmy Giuffre (klarnet), Paul Bley (fortepian) i Steve Swallow (kontrabas). Co jest w tym albumie na tyle wyjątkowego, że tak wybitni muzycy jak Ken Vandermark (klarnet, klarnet basowy), Havard Vikk (fortepian) i Ingebrit Haken Flaken (kontrabas) postanowili nadać stworzonemu przez siebie w roku 2001 zespołowi nazwę zaczerpniętą z jego tytułu? Żeby w pełni docenić „Free Fall” Giuffrego warto sięgnąć do wcześniejszej o rok, wydanej dla ECM płyty „1961”. Większa jest przepaść między tymi wydanymi rok po roku albumami niż między „Free Fall” nagranym w 1962 a „Gray Scale” w 2010. Jeśli chcecie na własne uszy usłyszeć, jak elegancki i dyskretny cool jazz zrzucał skórę, by stać się free jazzem, nie ma lepszego sposobu niż wysłuchać tych płyt, jedna po drugiej. Na „1961” Giuffre, Bley, Swallow raczą nas muzyką elegancką i wytworną jak kieliszek schłodzonego Martini serwowany pośrodku rozbuchanej gorącem Sahary. A na „Free Fall” muzycy rozwiązują sobie ręce, odpinają liny zabezpieczające i kontynuują marsz na jazzowy Everest tylko z przypiętymi do ramion skrzydłami. Ich improwizacje są lekkie jak płatki śniegu, tak samo chłodne i tak samo niepowtarzalne. Jedyny mankament tej płyty był taki, że jej doskonałość nie zostawiała wiele miejsca dla naśladowców, zatem wyznaczony przez nią kierunek niewielu miał kontynuatorów. Tym większa wdzięczność dla Vandermarka oraz jego kolegów, którzy kolejnymi płytami trio Free Fall („Furnace” nagrana w 2002, „Amsterdam Funk” w 2004 i „The Point in a Line” w 2006) kierują naszą uwagę ku tej cennej, a nieco pominiętej tradycji rozkwitającego free jazzu. Zresztą podróż w głąb nie kończy się bynajmniej na samym Giuffrem. Jeśli chcemy ją kontynuować po to, by odkryć europejskie korzenie awangardy, to możemy, a może i powinniśmy po wyżej wspomnianych płytach sięgnąć po utwory na klarnet autorstwa Schoenberga i Weberna. Krystyna Stańko new album is dedicated to Peter Gabriel and comprises smooth jazz versions of such his covers as "Mercy Street", "Red Rain" or "Diggin in the Dirt". Apart from Gabriel evergreens strong side of the album is also musicians that accompany Krystyna: vibraphonist Dominik Bukowski, bassist Piotr Lemańczyk, drummer Cezary Konrad, Irek Wojtczak on bass clarinet and flute, Marcin Gawdzis on trumpet. Those guys make fabric of the music on this album as light as a feather and as spacious as calm, summer night with blazing stars over our heads. As guest in one song appears also Mieczysław Szcześniak. Unfortunately it is impossible for me to judge this record adequately. I simply never was interested in Peter Gabriel's music, it does not appeal to me. So taking into account that I am little prejudiced Ms Stańko was quite successful. I got engaged by music and listened to the album from the beginning to the end. After this rehearsal I learned to appreciate her creativity, ability to infuse music with her own bluesy mood, her smooth interactions with sidemen. Her voice being rather delicate and filigree she follows suit of Patricia Barber, Diana Krall or Norah Jones, building over moods, tempers and vibes all associated with minor key sounds. If she decided to go deeper and more consistently in this direction and (let me be a little critical in the end) improved her English pronunciation, we would get even better record than it actually is. Hera. The best free jazz recording of last year in Poland. Four exceptional artists: Paweł Posteramczak (soprano & tenor sax), Ksawery Wójciński (double bass), Paweł Szpura (drums) and Wacław Zimpel (clarinet, bass clarinet, tarogato, fujara). Spiritus movens of this band is Zimpel who composed most of the music on the album. I bought this record quite long ago, soon after its premiere, but I simply could not write about it. It is too beautiful, too deep, too significant for me to be enclosed even in the most adequate words. I therefore confess to my total literary failure... All I can say is that this music evokes in my heart some long forgotten feelings, of archetypes, of primal instincts, of ancient gods walking among average people, perhaps of Golden Era as described by Hesiod, of new golden era in Polish jazz for sure. MUST HAVE!!! What is your first association with Poland? It may well be that it is where Holocaust took place. Although the end of story of Jews in Poland is well known: Nazi Germany, Final Solution, ghettos, concentration camps, Auschwitz, gas chambers, the beginning of this story is much less known. When did Jews settle in Poland? Why? What did make their incredible rise possible? The facts are that before II World War in Eastern Poland Jews made half of population of all cities! Even in Warsaw more than one third of citizens were Jews! It is often forgotten that such a long and numerous presence of Jewish culture in Poland means that part of our identity, of our culture is Jewish whether we like it or no. Sense of humour, type of feminine beauty, poetry and last but not least music are some of influences we cannot get rid of. Therefore it should not be surprise that Polish musicians were among first which embraced the idea of renewal of old klezmer music, thriving in Poland, before war, among flourishing Jewish community. Speaking shortly, we have here 2 CD album comprising jazz version of klezmer music. 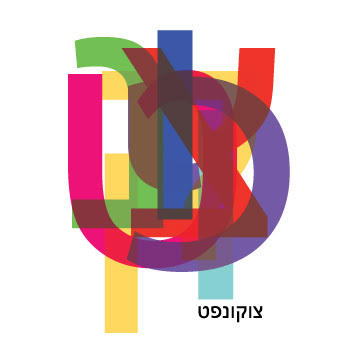 Clearly influenced by most significant figure in this movement, John Zorn, and music of his Tzadik Records established in 1995 it has yet very original and unique identity. As far as sound of this band is concerned on CD1 which was recorded live it is created by two energetic clarinets of Paweł Szamburski and Michał Górczyński, drums of Paweł Szpura and guitar of Raphael Rogiński, the leader of the a band and composer of most of the music on CD2 (CD1 comprises all traditional tunes). CD2 consists of music recorded in studio between 2004 and 2006 in different line-ups with such musicians as above mentioned Rogiński and Szamburski and additionally Kuba Kossak on bassoon, Adam Różański and Piotr Kaliński on percussion, Tomasz Duda on sax, flutes, clarinet, appearing plus guest vocalists Olga Mysłowska and Ewa Żurakowska. Energetic, swinging, improvising, full of life and yet somehow bluesy to the point of evocating feeling of tragic loss of so many millions Jewish co-citizens, this music is worthy homage to great Jewish culture and people who created it. I wholeheartedly recommend it to you! Igor Pudło vel Igor Boxx is 1/2 of Skalpel duo which recorded in 2004 ("Skalpel") and 2005 ("Konfusion") two albums for legendary Ninja Tune label. After couple of years of silence he has surprised us at the end of last year (in October) with this new material which is as good and inspiring as one could expect. As far as nu jazz and trip hop this is probably the best album of the passing year. 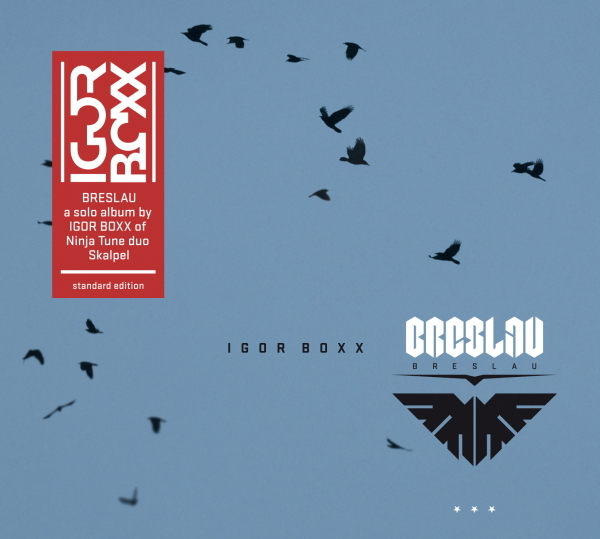 The title of the CD speaks for itself: "Breslau" is for Wrocław. The city where I was born and lived for 20 years until I moved to Warsaw. The city with special multikulti blend of Polish, German, Jewish and other elements, all masterfully described in a book by Norman Davies and Roger Moorhouse titled "Mikrokosmos". The most tragic event in the history of the city is the siege which started in February and lasted until May 1945. Declared by Hitler as "Festung Breslau" the city was virtually torn to pieces by ferociously fighting Red Army and Wehrmacht while civil population of half a million people was forcefully expelled out of the city in the middle of the harsh winter. Over 90% of buildings in the city perished, more than in Hiroshima, even more than in Warsaw. But do not expect any pathos, direness or sadness in this music because it tells the story in a best tradition of Polish absurd sense of humour and grotesque. Check the link below with official video to sense the mood I am talking about or watch one of such masterpieces of Polish cinema as Andrzej Munk "Eroica".